GULF ACCESS from your backyard, this is resort living at its best! 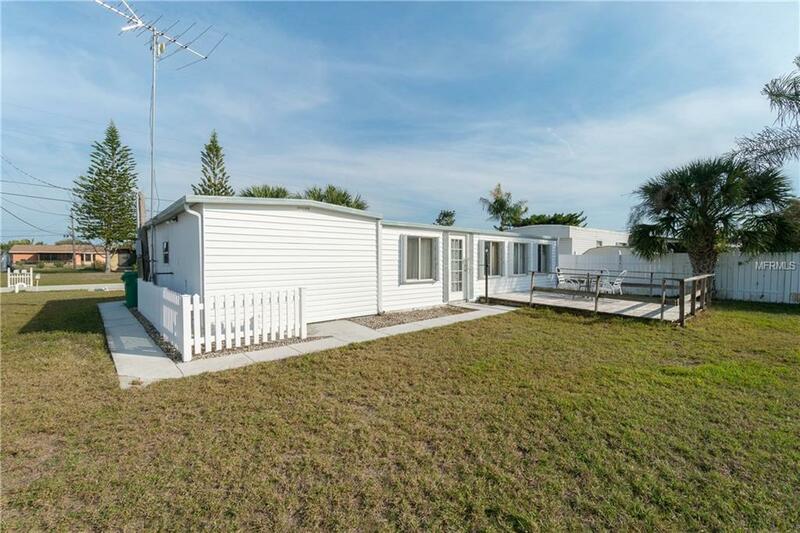 Located in the popular community of Mobile Gardens, this home has it all! Park your chariot in the driveway, walk around to the front, and your water views will amaze! You will feel the warmth and charm as you step into this home. A virtual wall of windows showcases your views and creates an energizing flow of natural light for a bright and cheerful atmosphere. 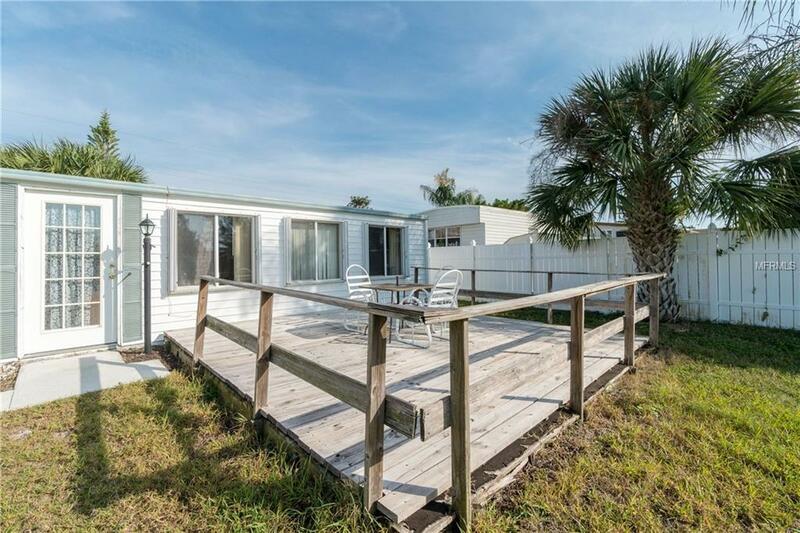 Attractive tile and laminate wood look flooring lead you through the home, and the upgraded bathroom, inside washer and dryer, dock, and deck set this home apart from its neighbors. The extra shower and sink in the bonus room provide an extra space for your guests. The kitchen features tile counters and tile backsplash, and looks out to the living area, perfect for entertaining. Have coffee on the deck while you plan your day, enjoying spectacular water views and the sounds of the jumping fish. Fish from your dock, kayak the canal, or jump in your boat and head out to Lemon Bay and The Gulf of Mexico, and spend the day at the beach. 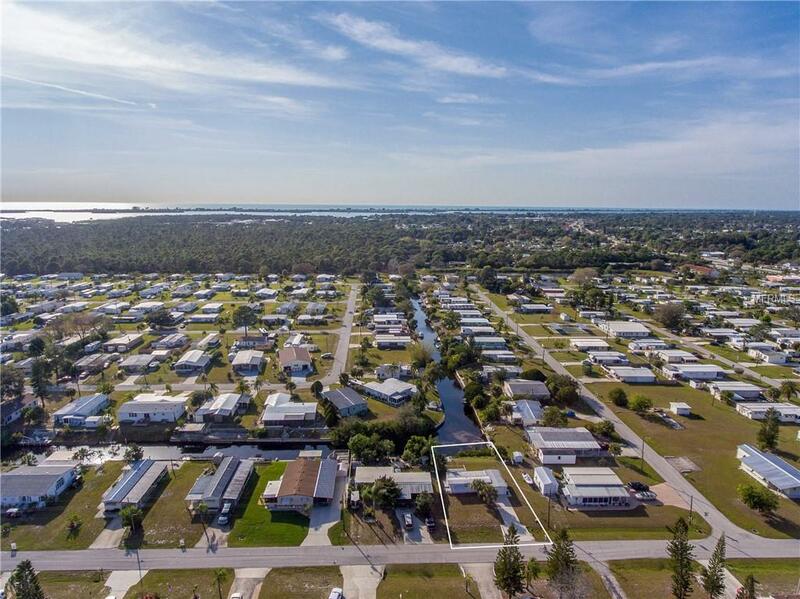 Join the optional Home Owners Association for access to the community boat ramp, first come first served day boat docks, and many community amenities including shuffleboard with fellow members and access to the recreation building. This is a very social community and there is always something to do! You own the land. 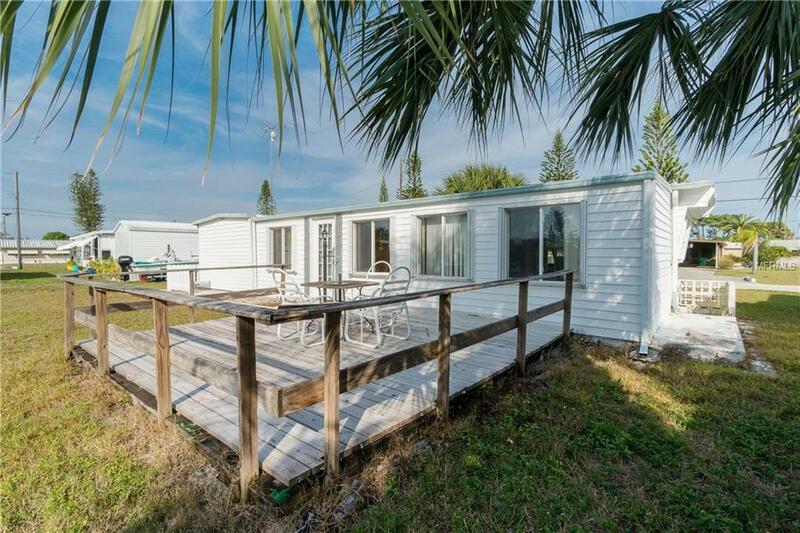 Complete with the existing furnishings, just hang your fishing pole and start living the Salt Life. This wont last, call today!